Future brides and we are not all curious to discover the fashion trends for wedding dresses 2019. 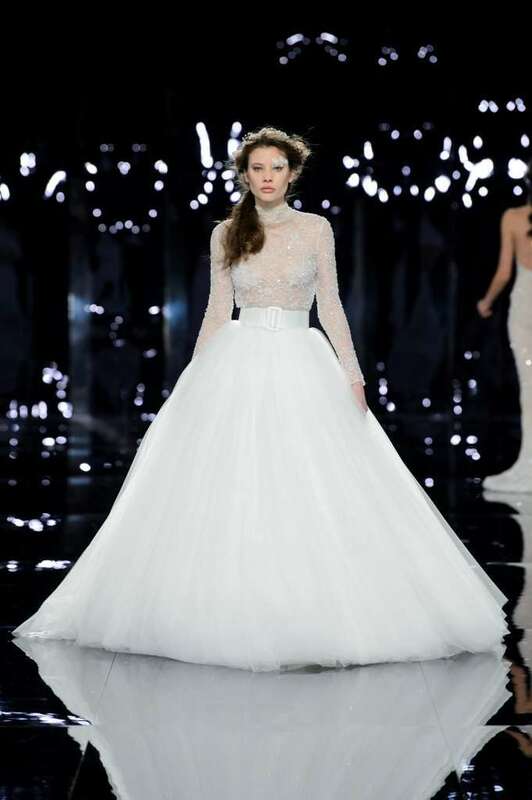 The bridal week of London, Milan, New York and Barcelona have revealed new styles that will influence the “mood” of the brides next spring. Also for 2019, the mermaid cut and the princess model confirm themselves as timeless “must have”. Rosa Clarà presented mermaid dresses that combine simplicity, elegance and sensuality. Among the proposals, elegant mermaid style dresses in natural silk crepe that, thanks to the excellent fall of this fabric, adhere to the body to create a perfect figure. Marchesa has designed delicate creations with a siren cut in organza silk and tulle with structured bodices embellished with jewel applications and raso belts. 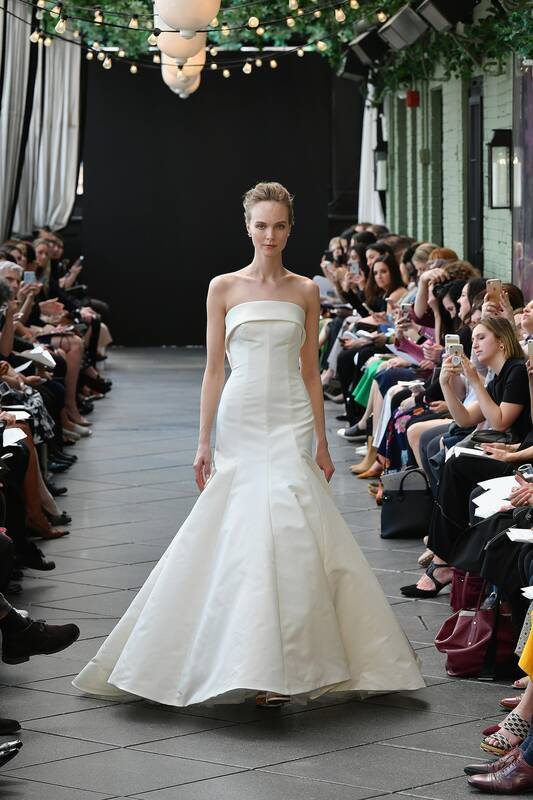 Carolina Herrera proposed a silk mermaid wedding dress with an open back. For the Princess model, light fabrics such as tulle, chiffon silk and organza are widely used. 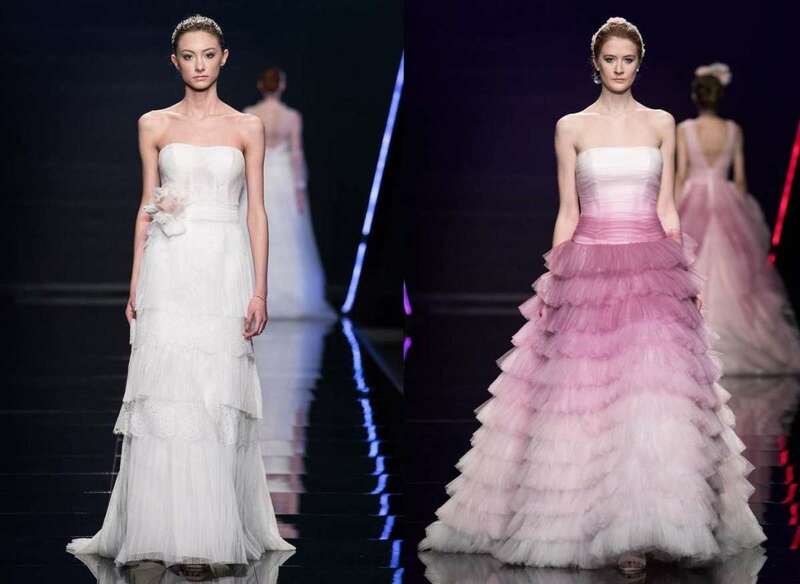 These vaporous and romantic fabrics give the bride a delicate and ethereal look like the tulle pink dress signed Blumarine. 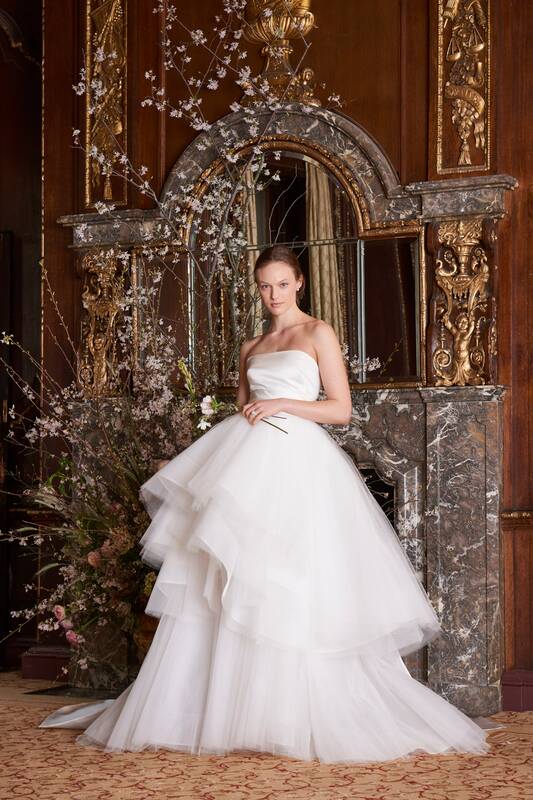 Fluid and light fabrics, such as chiffon and tulle, also characterize the voluminous skirts of the collection Nicole 2019; Marchesa and Monique Lhuillier have shown spectacular princely dresses with refined flounces in tulle and organza. But there are also those who prefer “minimal chic” models with clean and refined lines. Minimal lines represent the choice of Max Mara for 2019. Among the proposals: dresses in georgette silk, dresses in raso and taffetas, dresses in duchesse cotton and chiffon organzato. Carolina Herrera’s minimal dresses are very refined and elegant, like the flared duchesse wedding dress with open shoulder top. Silk and taffetà are the favourite fabrics of another designer, Amsale New York who for 2019 proposed the collection “Iconic Semplicity” with essential and elegant lines. The Italian designer Antonio Riva has also used precious yarns such as mikado silk, raso, organza and tulle to create true works of sartorial art, sober but extremely elegant. Finally, for those who love the original style and jaunty is confirmed winning the choice of the wedding dress “boho-chic”. An interesting proposal? The “boho-chic” wedding dress by Alma Novia in georgette and seta. Let yourself be inspired by the 2019 wedding trends. On the page dedicated to wedding dress fabrics of the new tess online shop you will find a wide range of fabrics to choose from to make high quality and stylish garments that will make your wedding unique.